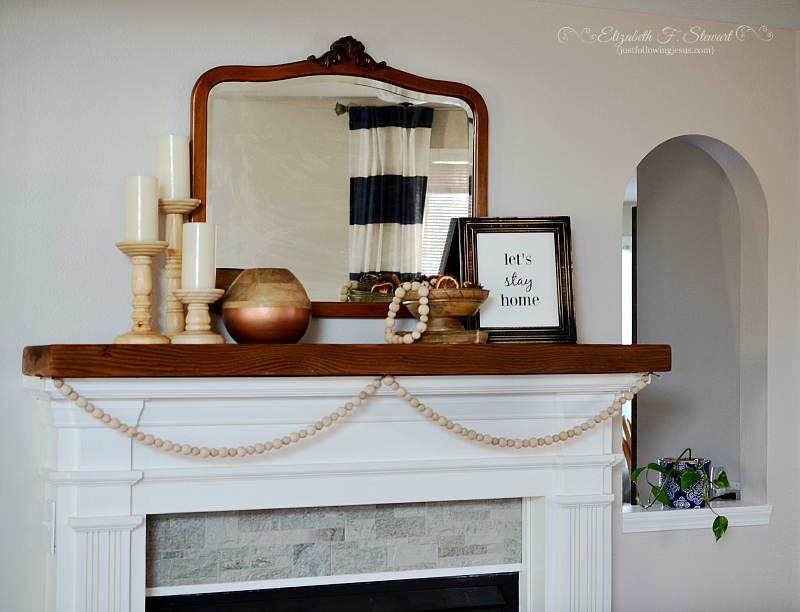 After the holidays I am always ready for simplicity in my decor. 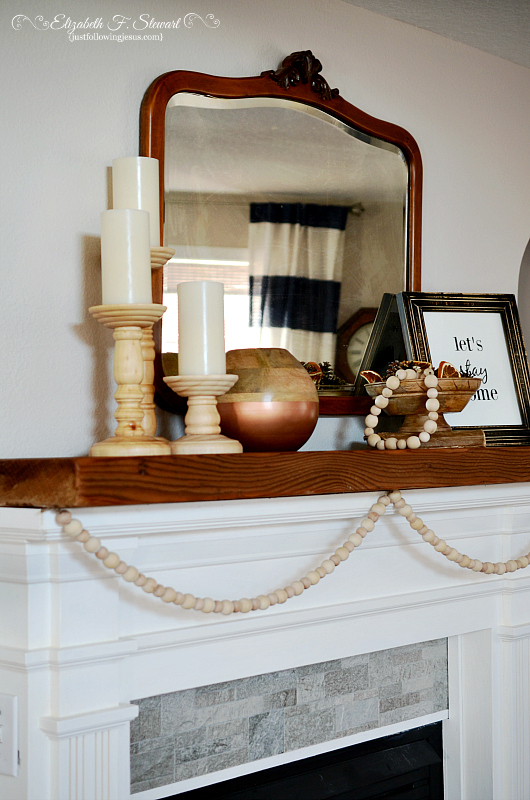 I decorated my mantel without a lot of clutter using mostly natural finished wood items. It's stayed that way since, not even being changed for Valentine's Day as I usually do. My one nod to winter is my simple print saying, "let's stay home". 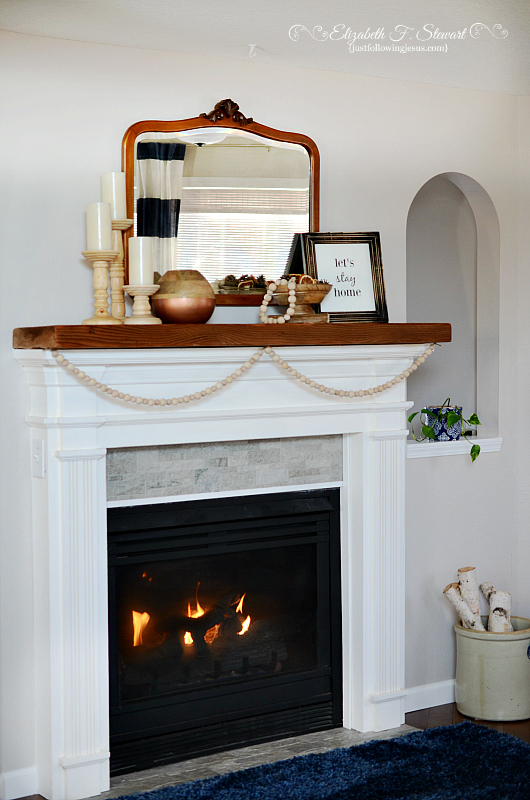 Winter is definitely the season to stay home by the fireside where it's cozy and warm. then regretting not buying it but not finding it when I went back. 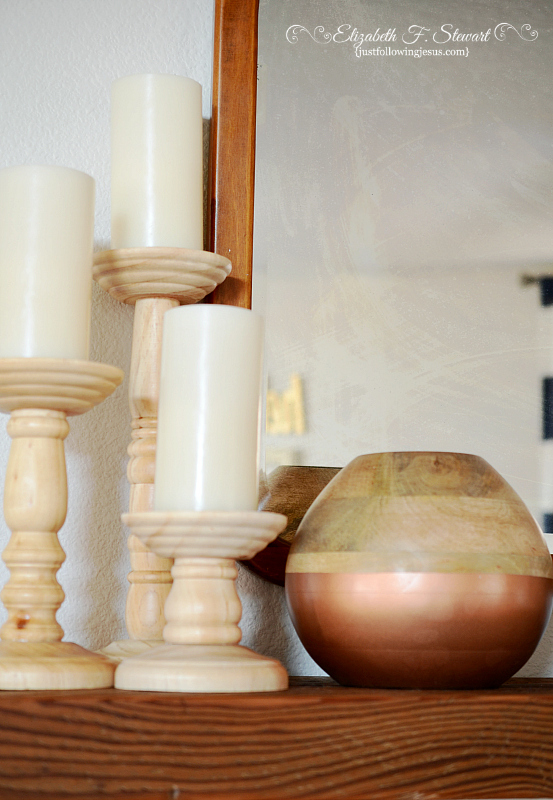 I bought this mango wood vase with the copper painted bottom. and a safe and BLESSED weekend! Your mantle looks so pretty, I love your new vase too. 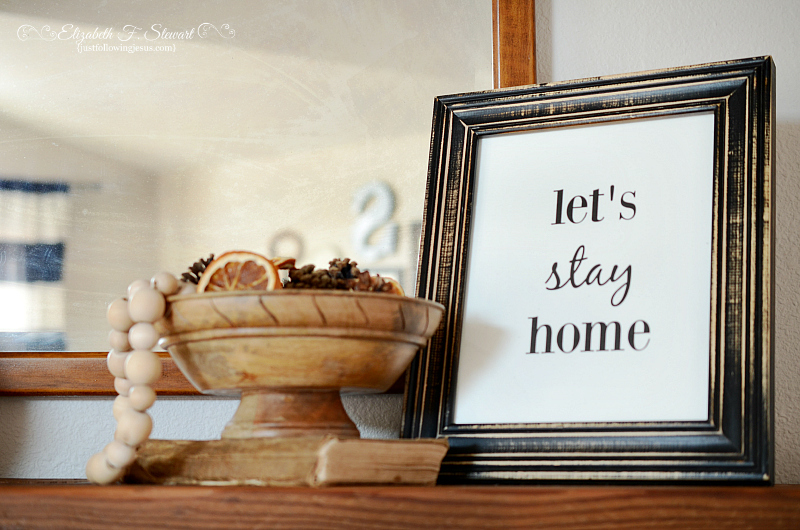 [Proud you found one, I hate when I pass something up at the store and go back and it's gone.. ha] I really like the "Lets stay home " print. I was tickled to find this lovely vase on Amazon for under $20! So warm and inviting. Love it Elizabeth. I love all the different wood, Elizabeth! Warm and inviting.